A short PHI scene in celebration of Greek Easter. 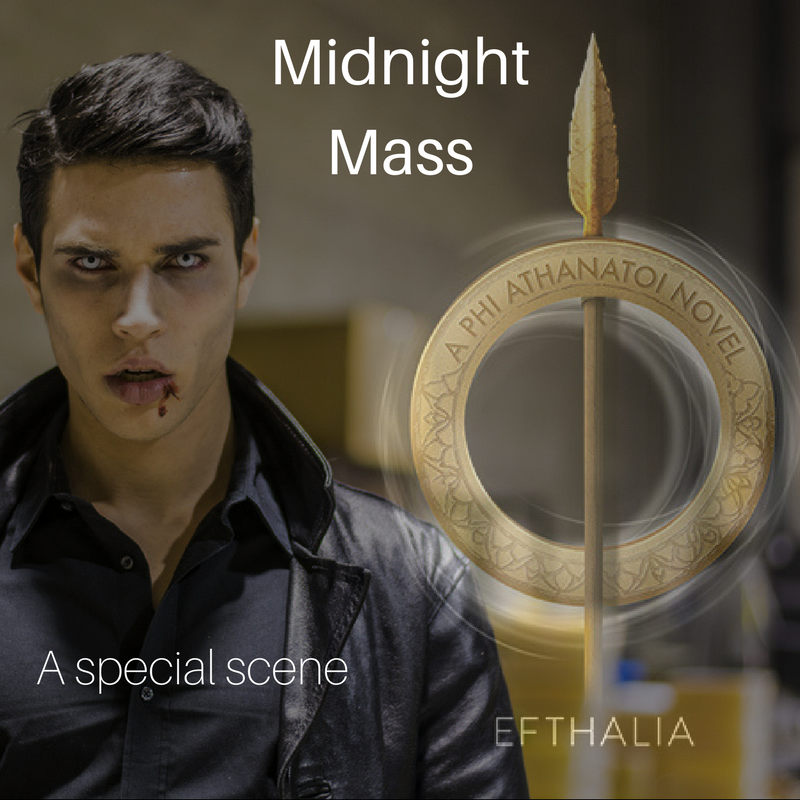 In celebration of Greek Orthodox Easter this weekend, I am posting up a short story with Xen, Carissa, yiayia and aunt Paula. 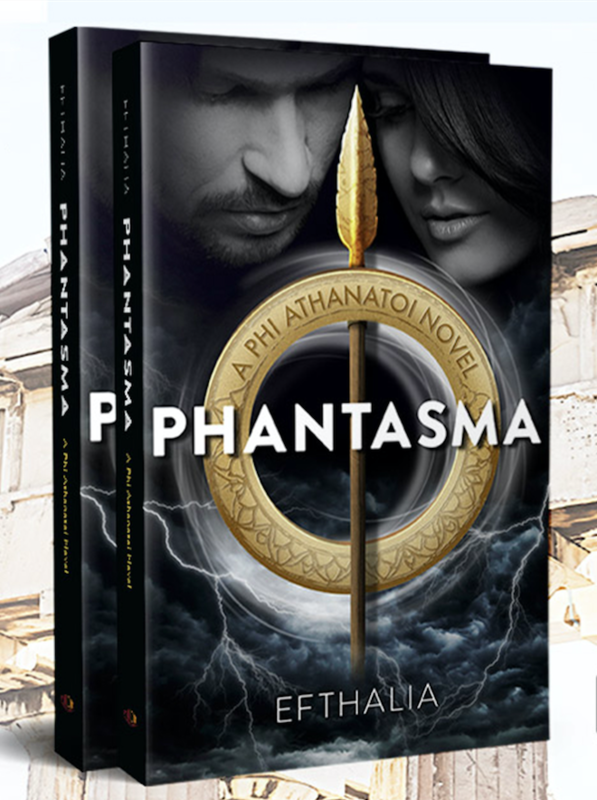 Yiayia and aunt Paula get a fair bit of space in Book 2 and this is just a little teaser of what you might expect from these two women in PHANTASIA, for release later this year. “Obviously, Stella does.” Yiayia’s dry tone told Paula that she didn’t give two hoots. “Ha, that would be so up Stella’s alley, everything is fake. Especially her words.” They were once good friends but when Stella married a second time it was for money and that’s when her true colours came out. Paula crossed her arms over her chest, a wave of terrible thoughts cascaded through her mind. Stella chose money over friendship. “Paula, if you look at statistics someone’s hair or something catches fire every year. Now where is Carissa? She said she’d be here.” Yiayia looked vexed but Paula knew she changed the topic to get her mind off the hoity-toity Stella. “Good evening yiayia and thitsa.” Carissa kissed yiayia and then Paula. “What took you so long?” Yiayia asked. “We had a few loose ends to tie up.” Carissa answered as she straightened from greeting them. A wave of nausea rose in her throat. She knew exactly what they were implying. “They…they wouldn’t come here would they?” She had a close shave with demons, the episode remained fresh in her mind. This Paula didn’t really need to hear. She was nobodies sandwich, especially not some crazy looking demon’s. “Paula look it’s time.” Yiayia’s tight fingers on her arm and voice bought her back to the present moment. In a few seconds all the lights in the church would go out and the bell would ring. Then the holy light would be passed around and the words Chistos anesti and alithos anesti would be uttered from the giver of the light and receiver, signifying the death and resurrection of Christ. This was safe. This she understood. This made sense. She opened her mouth to question how Xen and Carissa fitted into that ideology. “Now is not the time for the discussion on religion.” Xen’s voice was low. “He tells me the same thing thitsa, Every. Single. Time.” Carissa threw in. “Xen’s right. Look, here is our light.” Yiayia said as she lit her candle from the fellow who had accepted it before her. Paula looked at Carissa and they both rolled their eyes. Looked like yiayia had sided with the vampire. Paula lit her candle but as she took a step to the right and back she hit something furry. Her foot twisted and her arms flailed. The candle in her hand became air born. In seconds her bottom crashed to the concrete. The horrible smell of something burning hit Paula’s nostrils. Flames licked up Stella’s coat. Everything happened so fast. Within seconds Xen had removed the blazing coat and thrown it to the ground. Carissa helped Paula to her feet while yiayia hit the coat with her walking stick. Others soon joined in in, stamping out the flames. “Stella…” Paula’s words died on her lips. Stella’s fake lips thinned into a line. She reminded Paula of one of those circus clowns. Her eyebrows were too arched and pencilled in, her hair a ball of red with curls and the make-up heavily overdone. Carissa stepped between them. In a low voice a litany of words passed from her lips. “It was an accident. You will light your candle and leave. Forget you had a coat. It went missing.” Like a robot Stella did as Carissa had bid. “That’s my girl.” Yiayia raised a fist in triumph. “What was that?” Paula asked. “That is the power of anagke – compulsion.” Xen beamed. “Light your candle thitsa.” Carissa handed her aunt the now extinguished candle that caused the commotion.